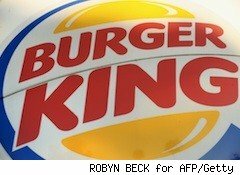 Parents who register on Club BK, Burger King's free loyalty program, can get a coupon for a free kids meal on their child's birthday. Registering your child is not required. Share your birth date, name, address, gender, email, and create a password for the site to get the coupon emailed to you. Club BK also wants to know how often you eat at Burger King each month and how many kids you have at home, but sharing these last two pieces of info is optional.